We ran out of our shirts a long time ago. But wait! Now they're back, thanks to local t-shirt company Desteenation Shirt Co.! 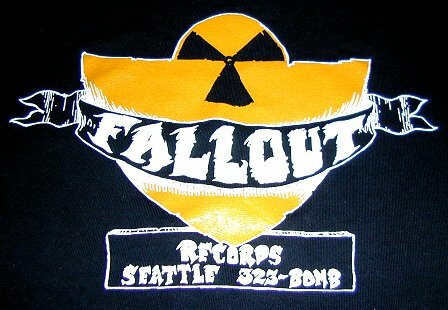 Visit their Fallout Records t-shirts page and order one (or lots) now. You know you want to.